Heliskiing Nepal is the ultimate experience for any skier or boarder searching for turns in fresh powder Nepal have a near monopoly of the finest heli ski destinations on the planet. This is where the world’s best skiing and snowboarding meet indefinable levels of luxury, personal service and attention to detail. From our entirely bespoke service that will craft the ultimate private heli-ski adventure to one of our carefully thought-out luxury experiences nothing anywhere comes close. Relax, pick up the phone and let us take over. In our 2 years of experience operation, we have found the Annapurna region, Everest region & Far west Nepal are the better areas to operate out of. The location is good, access into the areas we heli ski out of is good and the sking and snow conditions are excellent. Nepal ski and snowboard packages include multi-day heliski trips, and private charter helicopter. 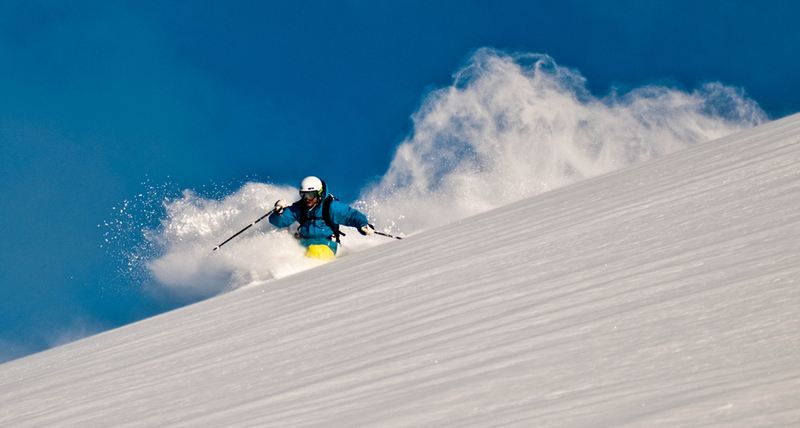 The standard heliski package features 5 to 7 days incredible runs in Nepal. For the Heliski in Nepal the most popular are Mera Peak Heliski, Saribung Heliski, Himlung Heliskiing, Putha Hiunchuli Heliski. For questions or reservations regarding heliskiing and heliboarding trips, please contact Kulendra directly via e-mail, phone, or simply fill out a information request or booking form. They will respond as soon as possible. Get ready for the ski adventure of a lifetime!